You are planning a large island tour on Mallorca and would like to drive on uneven terrain without getting stuck or stuck? Or are you planning an adventurous off-road tour through the national parks of South Africa or in the USA? An off-road car is ideal for routes you would not be able to drive with your car. Unpaved roads and difficult terrain require special care. Especially in countries where the road network is not so well-developed, you don't necessarily want to travel with your own car. With an off-road vehicle you have a clear advantage here. Thanks to the high ground clearance, all-wheel drive and differential lock, you can safely master even the most difficult terrain. Dusty terrain, unpaved roads, flat rivers - drive out into the countryside and master every terrain with ease and without stress. Renting an Sport Utility vehicles is especially ideal for country with a low road standard, such as Namibia or South Africa. On the one hand, the SUV was regarded as a flashing status symbol on German motorways and international highways. In the meantime, more and more people are realizing the practical advantages and 4WD is becoming increasingly established in the middle of society. Because an off-road vehicle provides comparatively high safety and the vehicle's height enables you to drive with an optimal overview of the current traffic situation. Thanks to the height, you can comfortably get in and out of an SUV and enjoy the advantages of a large storage space. This makes the SUV the perfect choice for journeys on holiday, as it easily accommodates prams, snowboards and other essential equipment. With mostly generously sized passenger compartments, an all-terrain vehicle gives drivers and passengers optimum freedom of movement, while the individually adjustable seats meet all requirements. Especially on unpaved or snowy roads in the mountains, the 4x4 drive of an SUV is unbeatable, you always drive with a 4x4 SUV to the desired destination in a relaxed way. An off-roader therefore offers many advantages when driving. Before the start of winter, every car rental company equips conventional rental cars with winter tyres and also provides snow chains if necessary. The measures help to a certain extent when driving over snow-covered roads, but do not come close to the advantages of 4x4 drives. An all-wheel drive car still keeps track on icy roads, while other vehicles have been waiting for a long time for the spread of traffic on parking lots. In addition, driving an off-road vehicle on fresh snow is a lot of fun, especially when the first track is pulled by your own jeep. You don't have to drive the 4WD rental car straight into the Alps to test the off-roader's advantages in ice and snow. Depending on your place of residence, you will have one of the German low mountain ranges right on your doorstep. There are remote roads and paths in the Black Forest, the Harz, Taunus or other low mountain ranges where you can safely ride on a four-wheel drive and see the fascinating landscapes from a completely different perspective. If you climb the Feldberg in the Black Forest with a four-wheel drive off-road vehicle over side roads, for example, while it is snowing, the memory of this excursion will remain in your memory for a long time. You can plan such trips at short notice and rent your jeep at our portal. Afterwards, you can pick it up at the local car rental company and enjoy the winter pleasures. Renting a 4WD car is just as much fun in the warm season as it is in winter. The 4x4 car rental is ideal for off-road journeys. There are off-road parks all over Germany where you can test the all-terrain SUV under extreme conditions with a lot of fun. Simply driving off-road with the SUV is rare in Germany and is only possible on private terrain. However, you drive to one of these parks in all weathers and spend an eventful day with the off-road car rental. Especially if you want to spend your holidays in mountainous regions with barely developed roads, in order to be as close to nature as possible, an all-wheel drive off-road vehicle as a rental vehicle is always a sensible option. Sweden, Norway and Finland are perfect for all-wheel drive tours. The breathtaking landscapes are often located in the mountains or in regions that are difficult to reach by car due to unpaved roads. In summer or winter, the 4x4 off-road vehicle is the ideal choice for a Scandinavian holiday, as it drives over snow-covered pistes just as comfortably and safely as over gravel or mud. Scandinavia can be discovered cheaply with a 4x4 rental car, in winter holidays the four-wheel drive is even indispensable due to its safety. Hiring a 4WD car from us for a reasonable price is even more advantageous if you have a Jeep in your garage. Why? You do not have to travel from the ferry, which is considerably more expensive, and instead travel comfortably by plane. At any airport you can rent a car at the car rental service and get to your local destinations. You can find out how old you have to be to rent an SUV in each country on our website when booking. Just one thing in advance: Cheap rentals below the age of 25 are sometimes made more expensive by car rental companies in the destination country. A Swedish car rental company requires an additional fee from customers between 18 and 25 years of age when taking over a rental car. In addition, the trip by four-wheel drive rental car on some Swedish roads is tolls. Discover southern Africa with a 4x4 car, because only with the all-terrain vehicle you can easily cross dirt roads without getting stuck or sitting up. The large national parks in the south are rarely accessible via well-developed highways, which are usually only accessible by 4-wheel drive. When renting an SUV, ensure that you have as much ground clearance as possible, so that the SUV can cope with even the most difficult terrain. An international driving licence is required to rent an SUV at a local car rental company or to drive on South African roads. Still reasonable fuel prices and good roads for an off-roader allow you to explore South Africa at your own pace in an adventurous way. One or two car rental companies will provide you with the 4WD SUV with camping equipment as an option. What you should always keep in mind when renting an SUV? Please select the insurance "fully comprehensive insurance without excess" when booking a rental car and remember that this policy does not cover all damages to the 4x4 car. Excluded from the regulation are, for example, damage to the underbody or defects in couplings and all damage caused by negligence or carelessness. If possible, rent an off-road vehicle with unlimited mileage, but make sure that the tank regulations are fair. Your chosen SUV will also remain favourable if you travel to several people and report an additional driver to the car rental company, as long as you do not drive the SUV exclusively on your own. If you hand over the rental car tax to a person unknown to the rental company and this causes an accident, even the best SUV insurance will expire. Especially in countries with insufficient signage, choose the additional service Navi. This allows you to drive the 4x4 rental car safely and relaxed to the most remote destinations. In any case, it is advisable to observe the country-specific speed limits. This means that your intention to rent a 4WD car cheaply will never be led ad absurd. In many countries, the police monitor road traffic more intensively than in Germany and impose drastic fines if the speed limit is exceeded. Your local car rental company should inform you about current limits for normal pavements and gravel roads. If you drive on a gravel road too fast and thereby build up an accident, the insurance company could refuse the settlement. We are an independent comparison portal for rental cars, with us you can book a car in any vehicle class or a jeep or off-road vehicle of all known brands at a reasonable price. As we work with every established and internationally operating car rental company, you can enjoy attractive rental prices on our portal. In addition, you will always find the right rental car using our search form, as you can determine the destination, date and type of vehicle as well as the scope of insurance, fuel arrangements and various additional services. With the booking confirmation you simply call the car hire company at the destination and pick up your rental car or jeep. Irrespective of the preferred car rental company, our portal offers you extensive help with the cheap rental of an SUV. Only a few formalities remain on site before you can drive with the off-roader from the pick-up station to attractive destinations. 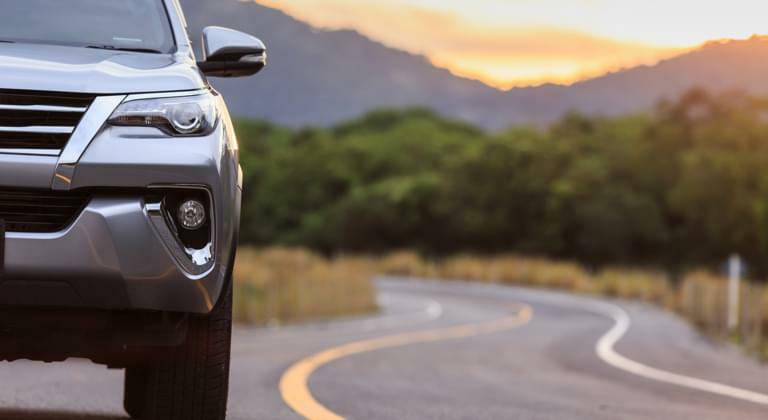 If you compare the various rental car offers for all-terrain vehicles, it is always worth taking a look at the rental conditions. Particularly in the case of an adventure trip, you should pay careful attention to the choice of insurance cover and weigh up between comprehensive insurance with or without a deductible. A closer look at the rental conditions also provides information on the amount of the excess. As additional protection, you can choose further services such as glass and tire protection, roof and underbody protection. Another tip: If you are planning an off-road trip, ask in advance at your rental station which roads you are allowed to drive on and whether certain unpaved roads are forbidden. If damage occurs to your rental car while disregarding the rental conditions, the insurance cover expires. In addition to the insurance cover, you can filter for further services included. If, for example, your co-driver would also like to enjoy riding an SUV over the terrain, we recommend an offer with an additional driver included. A comparison of the free kilometres is also worthwhile, as some providers rent your SUVs with unlimited mileage. No matter for which occasion you need an off-road vehicle - whether for a higher level of comfort during a family holiday, for off-road suitability off the beaten track or for a relaxed boarding and disembarking as well as an elevated seating position - you will certainly find the right thing for you among the various off-road vehicles and SUVs on offer.